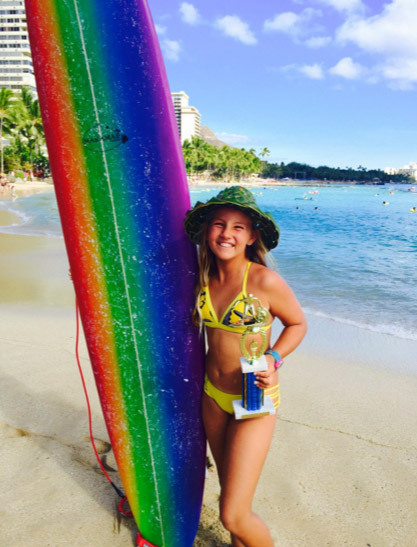 Sophia Culhane is a 10 year old long boarder, born on the Big Island, and now lives on the South Shore of Oahu. Favorite Spots: mostly longboard at Queens Waikiki and Kewalos. 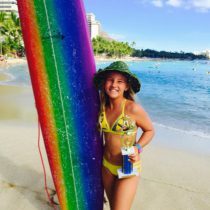 She started surfing at Waikiki when she was four years of age. Other hobbies are paddling, reading, skateboarding, and school. Sophia likes to surf because it makes me feel free and not worried about anything. 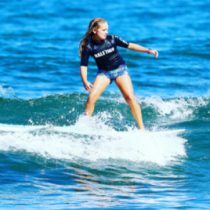 She hopes of one day becoming a professional surfer.